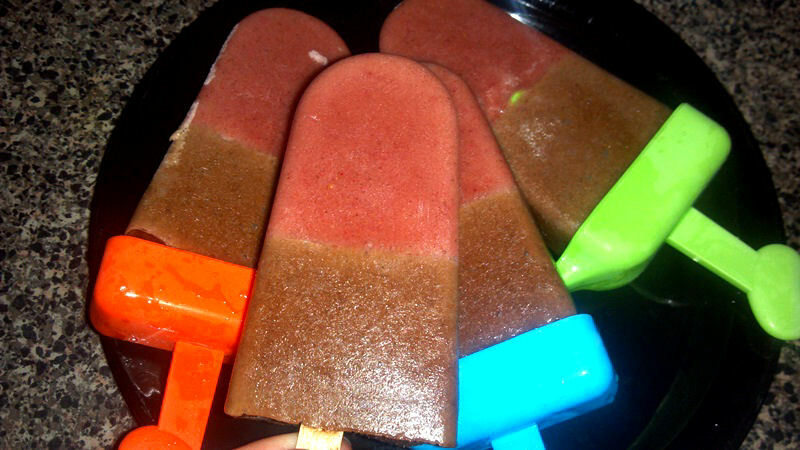 Chocolate Strawberry Popsicles are the best! Super easy and quite delightful to make! Mix until creamy, then spoon the mixture into the popsicle molds, and place in freezer. If you are using long wooden popsicle sticks, be sure to have them in place in the middle of the mixture so that they will be ready for the next layer! 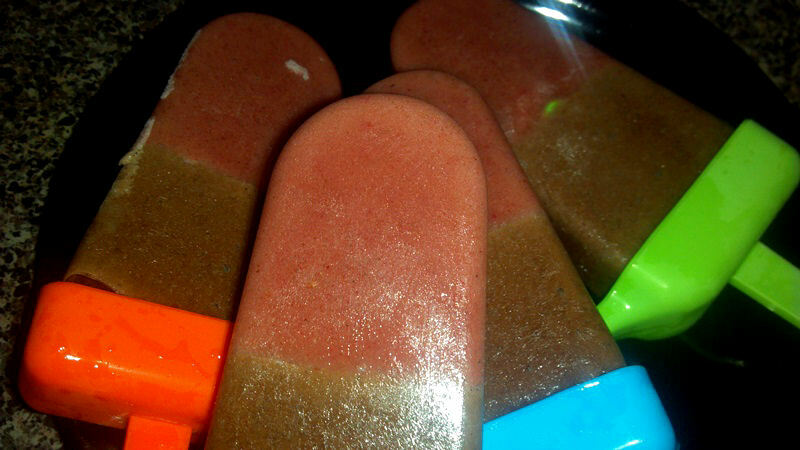 Blend until creamy, and put the chocolate mixture over the strawberry maca banana mixture, and place in freezer. Freeze then eat! That’s it! I’m going to go eat them alllll now!